As the year 2017 draws to a close, it is once again time for us to revisit the path we have walked over the past one year and cherish the good memories we have created together with our friends and family-members as we transition into the New Year 2018. Let us forgive all those who have not been good to us and leave all the bad memories behind as we embark on another new phase of our life. The sorrows and miseries we have encountered over the past one year should vanish with time because carrying them with us into the future wouldn’t let us move forward as we wish. The failures and losses we have already suffered should be a thing of the past and we should not let them interfere with the new hopes and dreams the New Year is bringing for us. As we now stand on the threshold of 2018, the social media is getting flooded with New Year wishes and prayers from around the globe. This is the moment everybody has been awaiting to celebrate the successes we have achieved in 2017 and remember all friends and family-members who have been with us during our journey through both hard times and joyful moments. While the painful memories should be left behind, the lessons we have learned from our experiences should continue to accompany us into the future as we adventure out into yet another unexplored layer of time so that we don’t fall into the same traps in 2018. By the grace of God and the unconditional love and support of friends and families, it is amazing that we have been able to complete the year 2017 without any major disaster or tragedy. It is sad to think that not everybody who celebrated the New Year’s Day last year could be lucky enough to do the same this year. Life is uncertain. We won’t know what tomorrow holds for us. 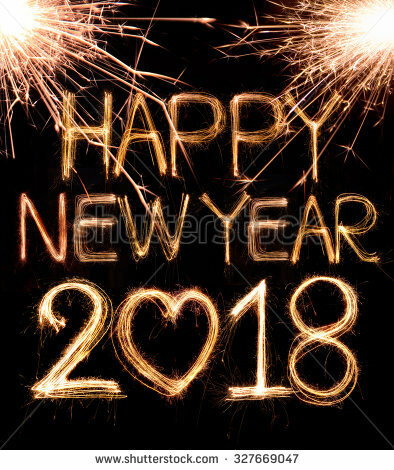 The only thing we can do now is to pray that the New Year 2018 brings even more blessings and greater happiness for all of us in the world. Our days may be numbered, but we should never stop being optimistic and positive in life. We should never dwell in the painful memories of the past. Instead, we should be able to generate positive energy out of our past failures and renew our spirit with new strength to withstand any turbulence that may cross our path as we move forward. This year, I and my family have been blest to be in my wife’s village to celebrate the New Year’s Day with her family-members. Although no major event has been planned for the day, we are planning to have just a simple dinner together to acknowledge and appreciate all the blessings we had got in 2017 and pray for similar blessings in 2018. The very fact that we are still alive to celebrate this Big Day itself is a great blessing and we are grateful to everybody who has made our life easy and comfortable throughout the past one year. On this special occasion, I would like to wish all my friends, colleagues and family-members a very successful and peaceful year ahead. May the New Year bring lots of happiness and peace in the world so that we all can have another fruitful year of our life without any regret. Let us all freshen up our spirit, cleanse our mind and thrill our heart with absolute joy as we bid farewell to 2017 and welcome 2018. A very Happy New Year to all! Indeed your writings are my source of inspiration and encouragement! Happy new year!! !